When producing a piece of legal/IP analysis substance is of course important, but so is its presentation. 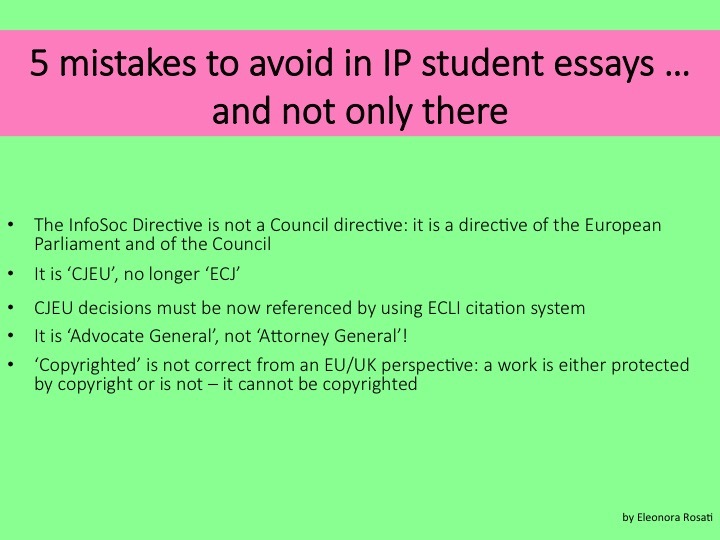 I have finished marking the scripts of my IP students for this semester and - like every year - there are some common mistakes that tend to be made repeatedly. 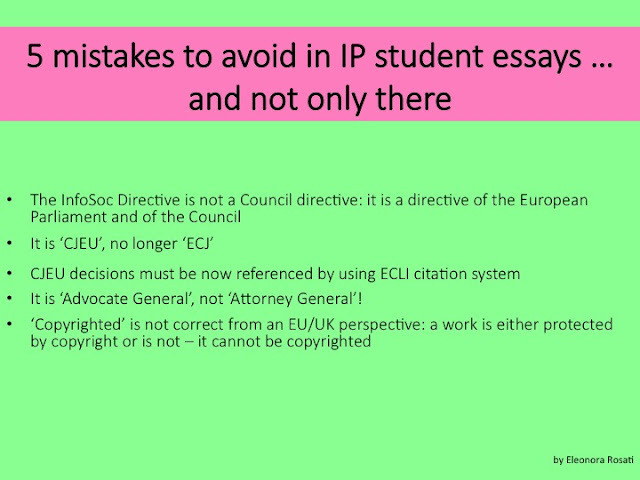 Ps: if you are wondering what the ECLI [European Case Law Identifier] citation system is, take a look here.